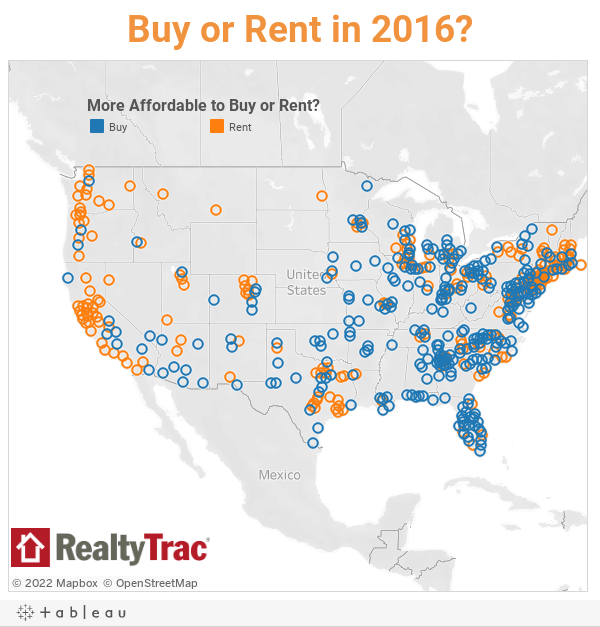 Should you rent or buy a home? Depends on where you live. To help make the decision simpler, RealtyTrac crunched the numbers and created an interactive map of the rent/buy fault lines across America.